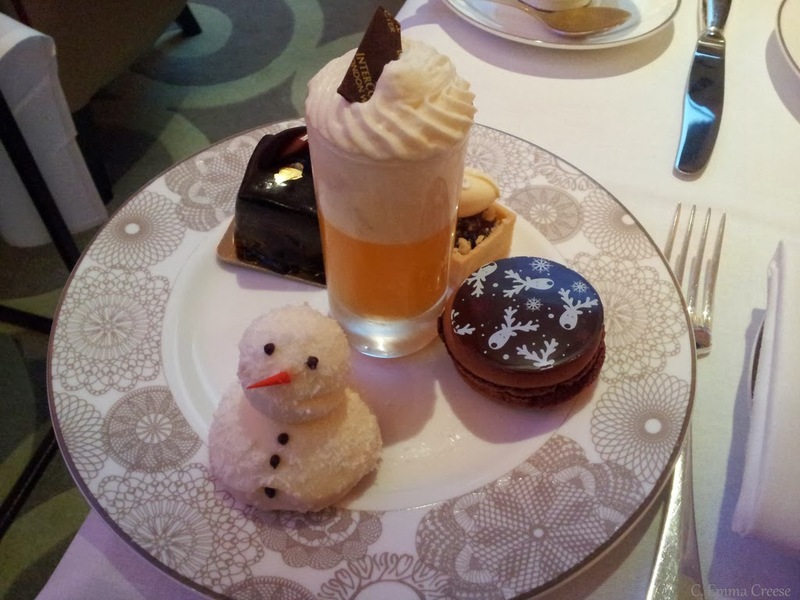 Christmas Afternoon Tea at the InterContinental London Westminster. One last wisp of Christmas cheer. One last twinkle of tinsel. One last morsel of festive indulgence. 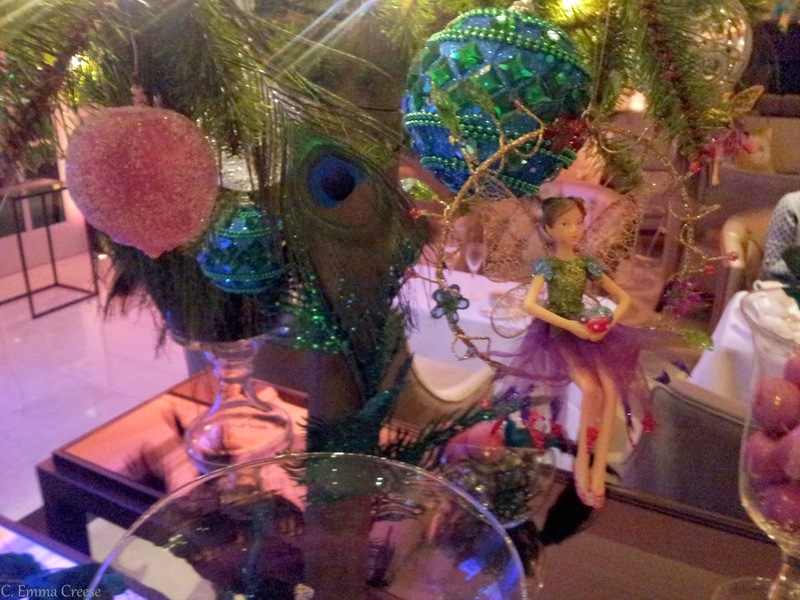 And one more sip of champagne whilst sugar plum fairies dance overhead. Buckle in for a detailed rundown – you might want to have a cuppa to hand. We thought we would sneak in a trip to the InterContinental London Westminster just before Christmas – and before everyone panics about their Christmas weight in the New Year and becomes ridiculously heath conscious in the New Year. A state usually lasting until the 4th of January. This is a hotel with a difference. Many luxury hotels are very nice but lack certain something, call it a character or soul. Gleaming marble entrances, helpful doormen, lovely fittings and nice upholstery… blah blah etc. etc. Maybe that’s what a lot of people want, but I like something with an x-factor (and not an ability to sing – though more on this later). The art in this hotel captivated me. 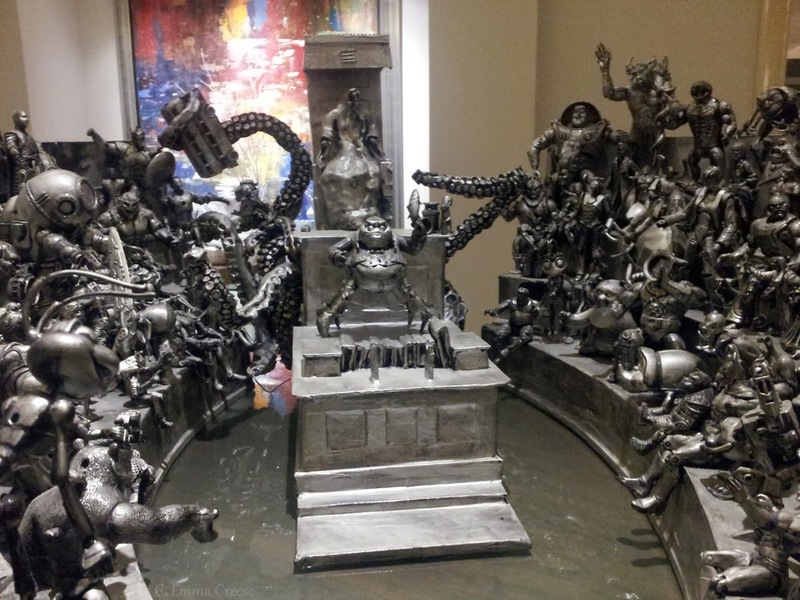 The art on display throughout the hotel lobby has a decidedly political twist. A statue of a lifesize man by Tom Clark climbing up a ladder hauling a model of parliament, a bowler hat display and the above – Parliament as portrayed by Evil Robots. Just so fun in amongst the usual luxury (more art information here, I’m in a caring sharing kinda mood). 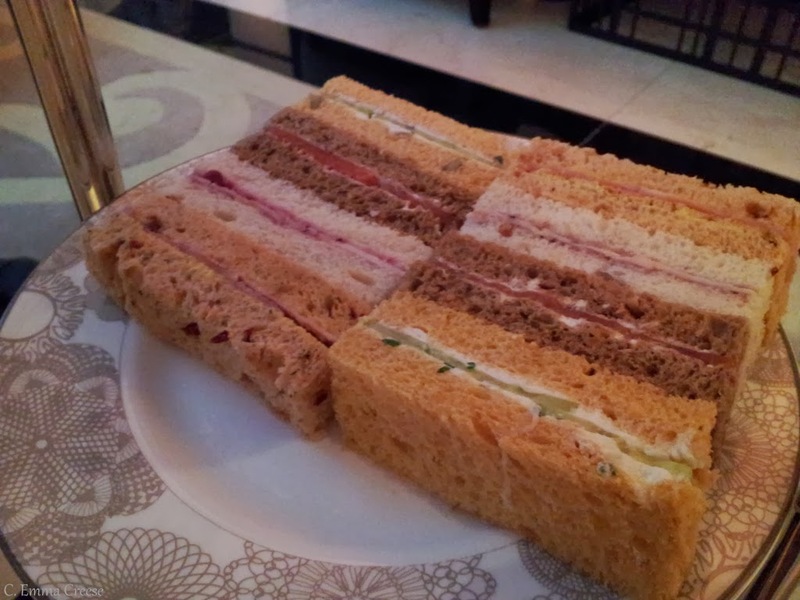 First, the sandwiches. My favourite course hands down. Beautifully explained by the fantastic staff, we thoroughly enjoyed every flavour, and couldn’t pick a favourite. (And yes, I couldn’t resist the stomach ache of gluten… you’ll see why in a moment). 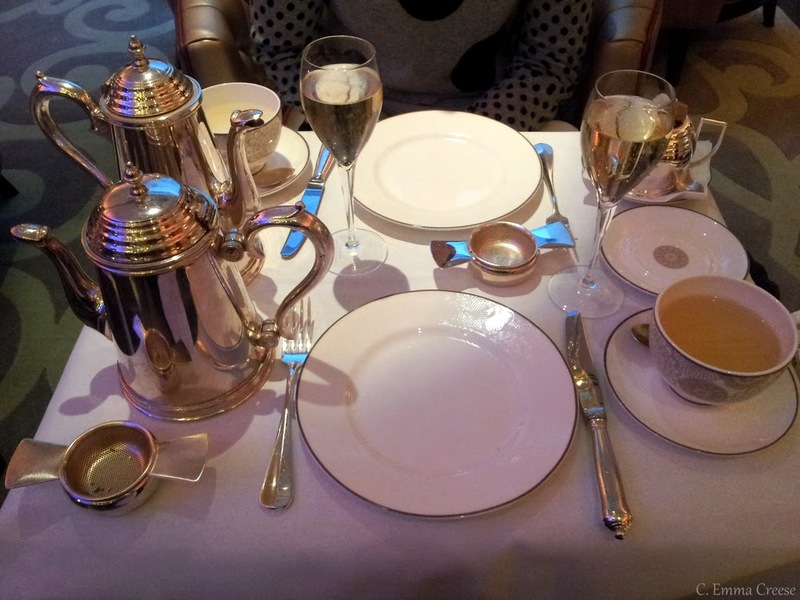 The champagne was definitely free flowing and generous – I ended up saying no to the last offer of a top up as I’d had enough, and the tea menu extensive and delicious, supplied by Jing. The teeny scones (plain and fruited in case you were wondering) were served in the sweetest napkin envelope, alongside Devonshire clotted cream, homemade strawberry jam and fresh lemon curd. They were only too happy to bring out more on request. 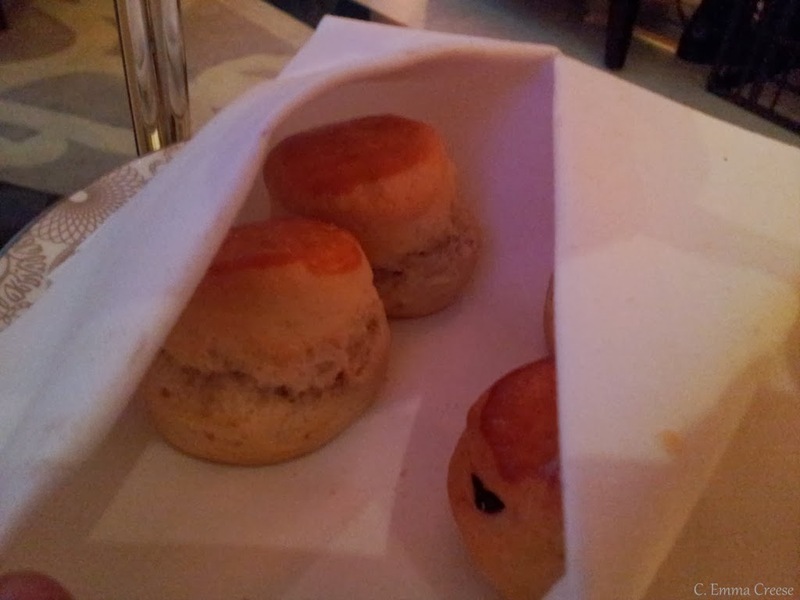 The best sweet items were hot Eccles cakes each, and they were simply divine. The rest of our cakes were of the most excitement (and the reason we picked this festive tea at the top of the budget) until we realised the kink in the tail of the beast. We were both offered Christmas cake slices and ‘spice cookies’ in festive shapes each, but the main, piece de resistance tier we had to share. We didn’t mind and are good enough friends to happily do so, but it seemed a little mean for the price tag. The snowman that we decapitated was so fun and delicious, the chocolate mousse I had was nice, and my blate said that her mince pie was good but the reindeer Macaron was a letdown. The Mango thingee in the shot glass actually had no taste and to this day we don’t really understand it’s purpose. The service was brilliant though; friendly, well timed and unobtrusive. Our champagne glasses didn’t run dry the whole time we were there (and due to a cabbie holding my blate hostage briefly, I was there for a wee while) and the feast tea plates removed in a timely manner. (Again, please excuse the terrible images, I desperately need a new camera, especially now it’s Winter). 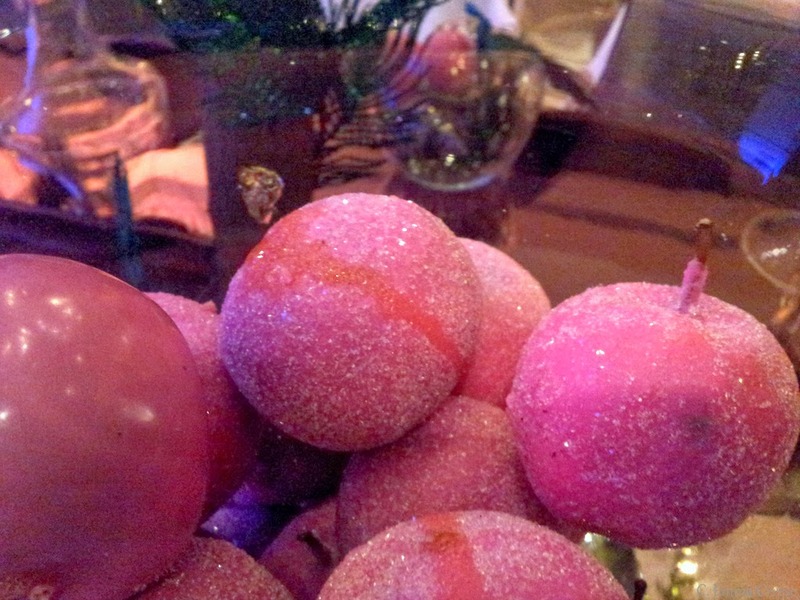 What made it really festively special was the gorgeously voiced Reverie who angelically sang carols for the duration of our tea, and the realisation that the Christmas decorations had a sugar plum fairy theme – complete with fake (I tested them) sugared plums, and ceramic fairies. The most difficult aspect was the knowledge that a friend was staying in the hotel that night with her parents, and we discussed the odds of talking our way into her room to cuddle up for a much-needed nap. What a Christmas surprise that would have been! Overall? The InterContinental London Westminster hotel is fun (the bathrooms are utterly gorgeous), the carols were a stunning festive accompaniment and the service fantastic, but to make it utterly luxurious and worth the £45.00 + service, I would have lost the Christmas Cake slices, cookies, and mango thingee and let us have a snowman each. It is Christmas after all. Is this the trouble with a themed afternoon tea? I think the Willy Wonka one at the Chesterfield and Chocolate Week at the Ampersand proved that you can balance fun and taste. 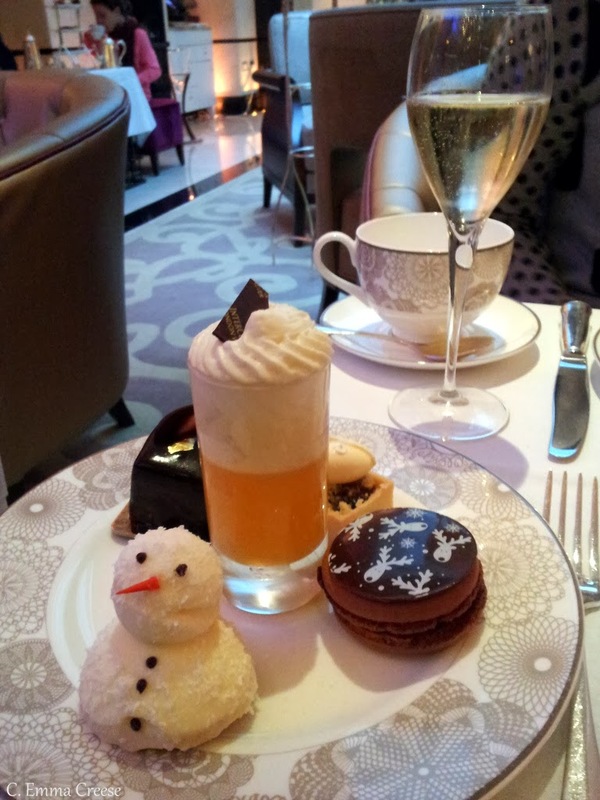 I will, however, be back to the Park Lane afternoon tea which was divine. Watch this space. What do you think about themed afternoon teas? Is it a step too far?